Show Me The Movies: 18th Belfast Film Festival has all the ingredients of another fantastic event! 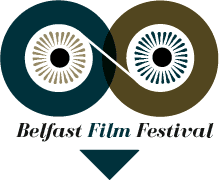 18th Belfast Film Festival has all the ingredients of another fantastic event! With 118 premieres in a programme of 178 films ranging from short film to VR titles drawn from 30 countries around the world it's safe to say that the 18th Belfast Film Festival has something for everyone when it kicks of on the 12th April with the screening of Lance Daly's Black 47. Special guests this year include Father Ted creator Graham Linehan as well as iconic director Ken Loach who is set to receive the Réalta award for outstanding contribution to cinema. The cinematic riches available at the Belfast Film Festival are plentiful with some superb films on show along with some very interesting events which will all contribute to what is sure to be another incredible festival. A live reading of Mel Brooks Spaceballs, special screenings of Animal House and The Big Chill as well as Seinfest (a must for all Seinfeld fans!) and a Mary Poppins sing-along (who wouldn't love that?) are just a flavour of the special events that take place throughout the 9 days of programming! With films such as Saoirse Ronan's new feature On Chesil Beach, Marc Meyers' My Friend Dahmer, David Freyne's post-zombie Irish film The Cured and Nora Twomey's Oscar nominated animated feature The Breadwinner are just a taste of the high quality film on show at this prestigous event.